From receiving to shipping, we know that you need those three things, from us. 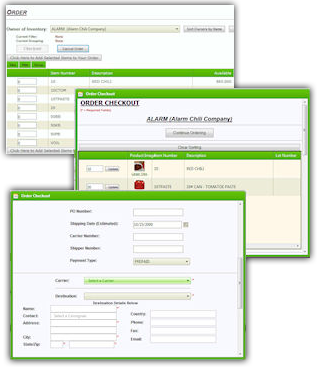 Our web access inventory control system is everything your company needs it to be. There are multiple levels of security, with private password logins, for each representative. Your company will be able to view only your products and information. You can check the status of current transactions, including Inbounds, Outbounds, Products, and Inventory. Our system is available 24/7, from computer, most smartphones, and some tablets, with internet access. No matter where you are in the world, or what time it is, you can conduct business with us, as necessary. The system will also print needed reports. Items can be tracked several ways, such as, by Item id, lot number, consignee, serial number, and more.